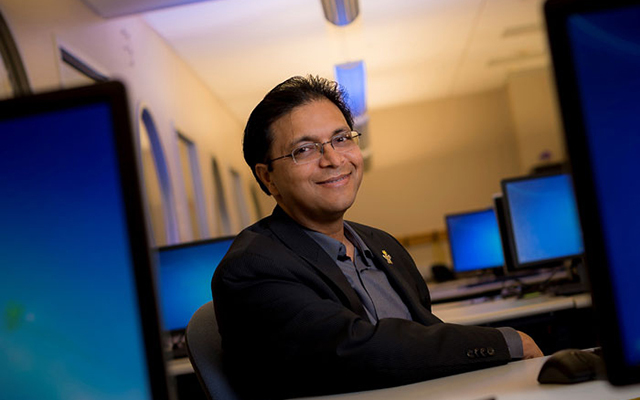 Rajesh Gupta, a professor of computer science and engineering at University of California San Diego, has been awarded the IEEE Computer Society 2019W. Wallace McDowell Awardfor hisseminal contributions in design and implementation of microelectronic systems-on-chip and cyberphysical systems. "I am not surprised that Professor Gupta received one of computing's most prestigious individual honors," said UC San Diego Chancellor Pradeep K. Khosla. "As a world leader in embedded systems research, his work continues to impact both industry and the academy. Here at UC San Diego, Rajesh is currently leading efforts to bring together researchers from across campus to incorporate data science into their work and into the classroom. The application of his research to our campus is invaluable." The award puts Gupta in illustrious company. Previous winners include Gordon Moore, who co-founded Intel; Seymour Cray, who developed early super computers; Tim Berners-Lee, who helped invent the World Wide Web; and other academic and industry leaders. Gupta is being honored, in part, for his work on cyberphysical systems, which bring together computer-based algorithms with real-life physical systems, for example in robotics and smart grids. “Your car is a cyberphysical system,” says Gupta. “When you press the gas pedal, you don’t actually release gas. You tell a computer to increase speed, and the computer decides how much gas to release,” says Gupta. He holds the Qualcomm Professor in Embedded Microsystems in the Department of Computer Science and Engineering at the UC San Diego Jacobs School of Engineering.